During Monday’s press briefing, Washington Post might have asked the worst question in the history of the White House press briefing, trying to spread a nonsensical rumor that First Lady Melania does not live in this White House. White House press secretary Sarah Sanders slammed the reporter for spreading rumors about Melania Trump’s marriage Monday. WaPo exposing their bias and digging for dirt. Might I suggest they get a shovel and start digging into Obama and Clinton or is that just too difficult for them and beyond their scope of expertise? 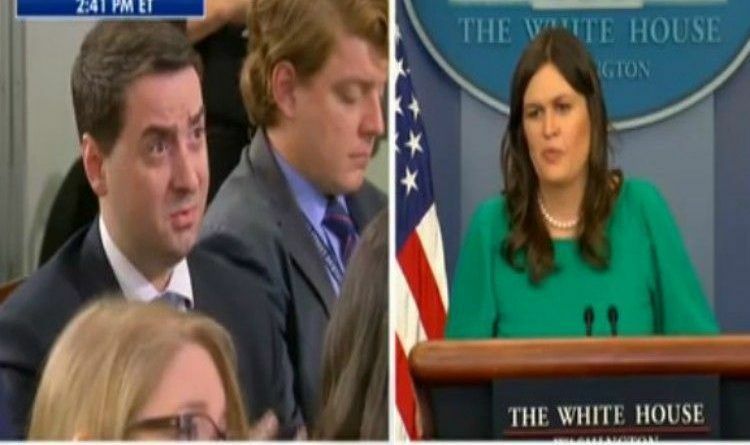 I don’t think anyone has had to deal with so much BS from the media like White House spokesperson Sarah Huckabee Sanders…and I must admit, she handles it very well. Watching her in action is beyond delightful. She makes me smile on several levels! She is the best example of what we want our daughters to be. Confident. Poised. Composed. Stand up to bullying. Don’t stoop to their level.